Birsay from the Brough in 1966. 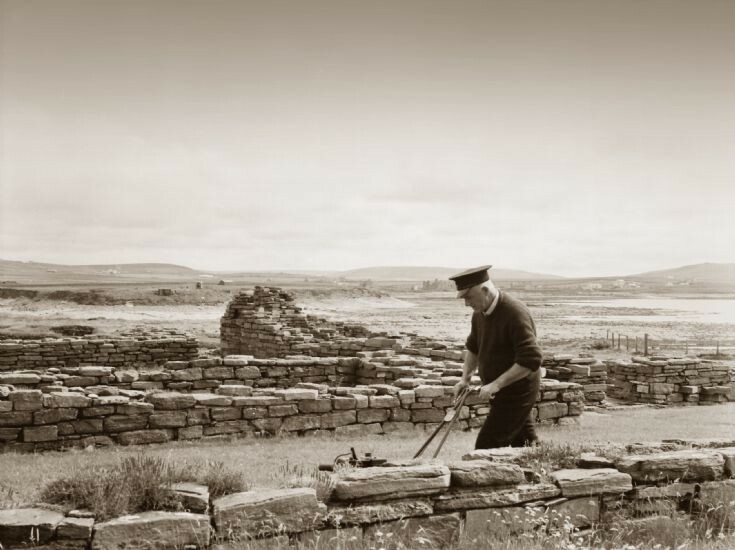 Joe Matches cutting the grass - he was the custodian of the site at the time. I spent many happy hours on the Brough helping him with the grass cutting, trimming and such like. Changed days now with contract and seasonal labour.